Neon Dreams is a 4-Piece electronic live group and production team that is looking to bring something different to the EDM/Pop world. Hailing from Halifax, NS, Canada, Neon Dreams takes the typical production/DJ format of an EDM act and adds live instruments to bring an explosive energy to on-stage performances and studio recordings. While all 4 members of Neon Dreams work in-studio on the production and writing side of the music, during live performances they each take on their own specific and key roles. On stage, Frank Kadillac remains as the group’s lead vocalist, Corey LeRue takes on the role of DJ/Backing Vocals, Matt Gats becomes the group’s lead guitarist and Adrian Morris is on the drums/live sampling. While different from most EDM and Pop acts today, they fit right at home. Their music, which ranges vastly from electronic pop to hard-hitting festival tracks, is unique to Canada’s Atlantic coast and often borrows different sounds from many genres within the electronic dance world, further establishing the group’s distinct style. Kicking off 2016, the group has already seen releases through labels such as Ensis Records and new imprint Honourable House – Made from a collective of high profile blog owners such as Filthy Drops and EDM Lead. Now with their first headlining tour of 2016 wrapped, the group is in the studio preparing for a late-summer 2016 release of an EP that brings a whole new evolution of sound to the four-piece. Kicking off the summer the group released the first single from the EP entitled “Marching Bands” featuring Canadian hip-hop legend Kardinal Offishall. The single has been featured at radio stations across the country and continues to climb the CHR- Top40 charts throughout Canada. The group’s breakthrough single of 2015, “Love Experts,” marked the first track from their debut album “The Last of Us,” released on September 4th, 2015. “Love Experts” debuted on Bell Media stations across Canada through their Future Star program and was quickly picked up by other Top-40 stations nationwide. The single then began to climb Canadian radio charts making its way onto Billboard’s CHR Top 40 chart and iTunes’ Top 10 electronic chart. An official video soon followed, making its debut on Dancing Astronaut, pushing the song’s release to an international scale. The single’s pop-dance elements are just a taste of what is to come from the group’s debut album. Tracks such as “Shadows” show off the group’s darker, heavier side – while the album’s title track, “The Last of Us,” shows off aggressive, yet melodic progressive house elements. The group’s debut album boasts features from Waka Flocka Flame and JRDN. 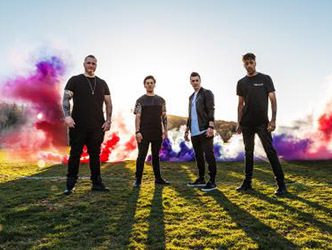 Since the group’s emergence mid-2013, they have received heavy blog and press support from major sources such as EDM.com, CBC, Run The Trap, Dancing Astronaut, EDM Sauce, Fresh New Tracks and Good Music All Day. This has allowed the group to tour and share the stage with such acts as Diplo, Waka Flocka Flame, Benny Benassi, Flosstradamus, DVBBS, 3LAU, Caked Up, DJ Bl3nd, Keys N Krates, Michael Woods, Grandtheft, and Jesse Marco. Neon Dreams is set for success to revolutionize the electronic dance music live show.